Many of us have some unused gold lying around the house. In many cases, its jewellery belonging to grandparents that are old and unused and have lost its lustre through the years. Although the gold may look tarnished, it’s still gold and does have a market value. Then we spot dealers posting ads on television offering cash for all that scrap gold, and it tempts us to pull out that unused old gold lying around the house, never to be used to again. Why not put it all in an envelope and post it off to that scrap gold buying service and hope for some cold hard cash? Well, the idea seems to be a practical one, but let’s run through the steps you need to follow to ensure that some rogue or slick conman doesn’t get your gold off you for peanuts. Gold is always sold everywhere at spot prices. This is the value of gold per troy ounce at a particular point in time. A troy ounce is different from a standard ounce, and it’s important to know the difference before walking into a high street gold shop. A little online research will get you up to speed on prices, so you won’t get fooled by a dealer attempting to short change you. You can go to a reliable gold dealer to get your gold valued. It’s important to figure out whether your gold items are worth more in their current form or as scrap gold. For example, you may have a coin that’s worth much more than its weight in gold on account of its numismatic value. Sometimes, your gold jewellery may be worth more than simply selling it as scrap. 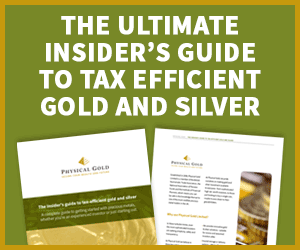 These are important considerations before you get around to selling your gold. Knowing when to sell is critical when selling gold. Of course, many people may require emergency cash and may make a distress sale. But ideally, it’s best to look at price trends and sell when the price of gold is up. is an essential step you will need to undertake before selling. For example, 18 karat gold has 75% purity, while 10 karat is only 42% pure. You will only get a price based on purity as no one will pay for the base metal component of your scrap gold. It is possible to get an acid test kit in the market to measure the purity of your gold. If the gold dealer insights on grading all the gold together, you could be cheated as they may give you the price for the lowest karat of the lot. Always insist on having the individual pieces evaluated separately. Before heading out to sell your gold, it’s important to first weight it. Gold is measured in troy ounces. Again, there are kits available in the market to help you accurately weigh your gold. Gold may tarnish over time. Cleaning your gold is yet another important step prior to selling. Some warm water, dish soap and a soft toothbrush should do the trick. Just let it dry at room temperature and then wipe it before selling. Settling for a price given by your nearest gold dealer isn’t a smart idea. Shop around to see the best price you can get. Postal gold buyers are popular these days. When sending any gold to a dealer, keep a record of what you’re sending by clicking a few images. Always send your gold via insured delivery and fully understand the terms and conditions of the sale. Selling to a rogue buyer could mean that you stand to lose your money. Reputed buyers will always insist on checking your photo ID before closing a deal. Our precious metals advisory team is best placed to evaluate your gold before you sell and will let you know the price you can expect. Call us now on 020 7060 9992 or drop us a line and a member of our team will be in touch with you at the earliest. This entry was posted in Blog and tagged scrap gold, sell gold.